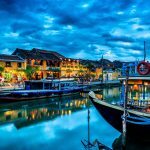 When mentioning to Soc Trang, people often think to Bat Pagoda or Tan Long bird garden… but it also has an extremely unique place in Soc Trang which tourists should not ignore that is Nga Nam floating market. 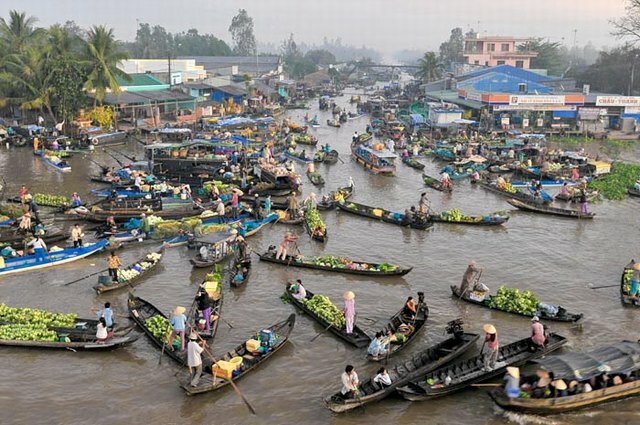 This is one of the floating markets have has long existed and the busiest floating market in the Mekong Delta. 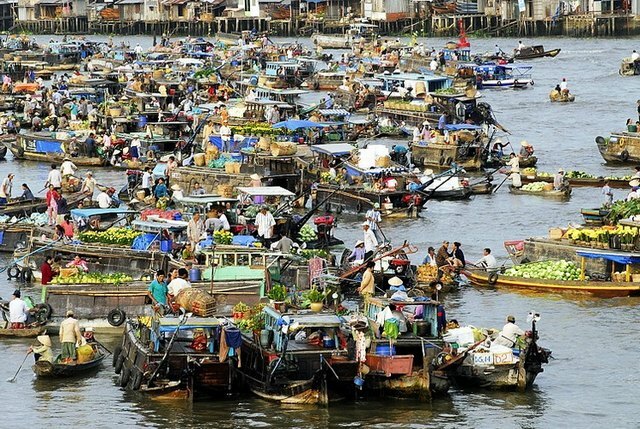 Nga Nam floating market is located in Nga Nam town, Thanh Tri District, Soc Trang Province. 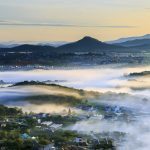 From the city of Soc Trang, tourists go more than 60 km by road along National Highway 1A to Phu Loc, then turning on Provincial Highway 42 about 24 km to go to Nga Nam district. 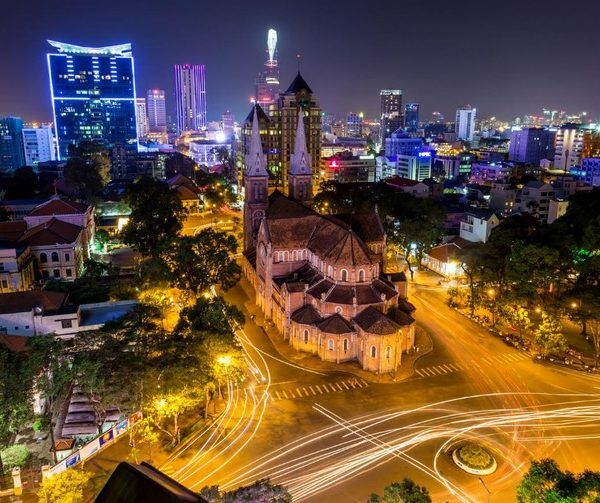 This is one of the districts in key economic areas of Soc Trang province, having roads relatively uniform, including Quan Lo – Phung Hiep connecting National Highway 60 with the Ho Chi Minh Trail. 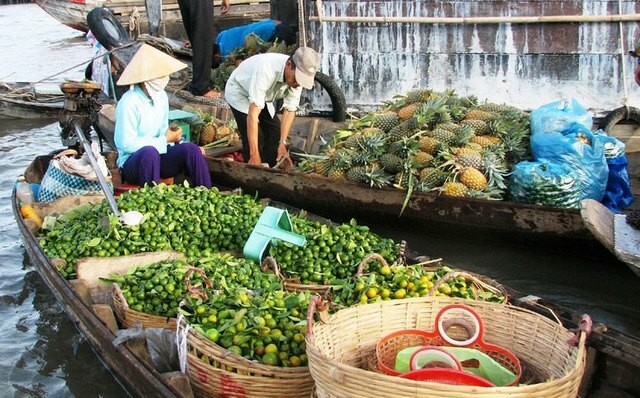 In addition, Nga Nam also has waterway linking the local and surrounding areas such as: Bac Lieu, Ca Mau and Hau Giang … with five rivers converge into Floating Market – being a busy commercial spot with the charming and unique landscape of rivers. 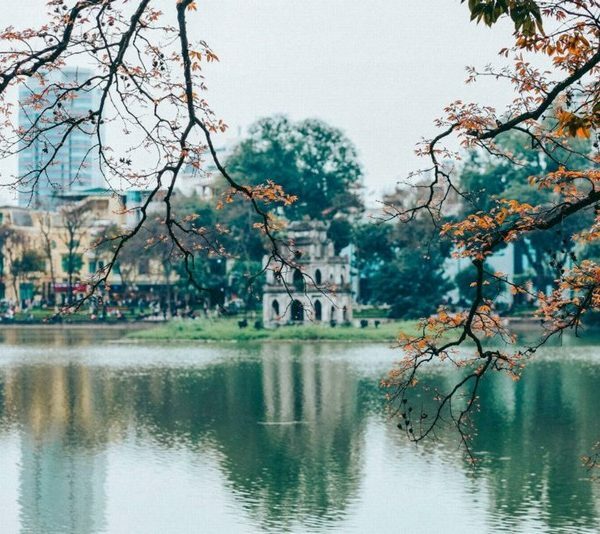 The name “Nga Nam” was born when two canals (Xang canal and Quan Lo Phung Hiep canal) cross a natural creating the river branch flow to directions, Nga Nam floating market is located at the convergence point of 5 canals. 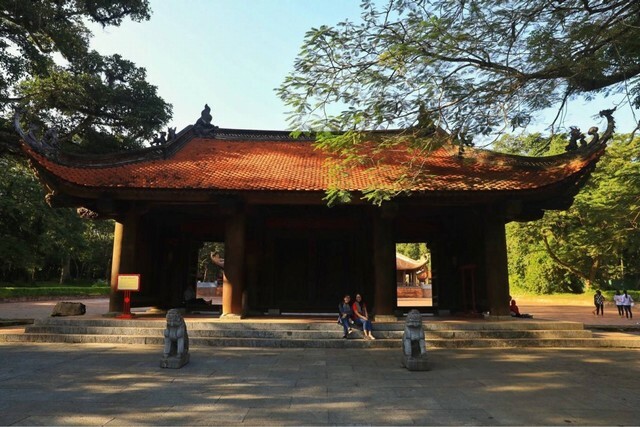 According to historical documents, Nga Nam lands were officially reclaimed in the early nineteenth century in the reclamation policy Mekong Delta of the Nguyen Dynasty. By the late nineteenth century, the district of Nga Nam was a forest land full of mangrove and reeds, sparsely populated. French colonists regarded this land as the exploring land. 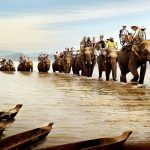 In Indochina conquest plan from 1900 – 1924, French colonists dug many large strategic canals, in order to exploit new lands and facilitate for the management and check the population such as: Quan Lo Phung Hiep canals – Ca Mau, Ngan Dua – Cau Sap, Gia Rai – Pho Sinh, Long My – Phu Loc. 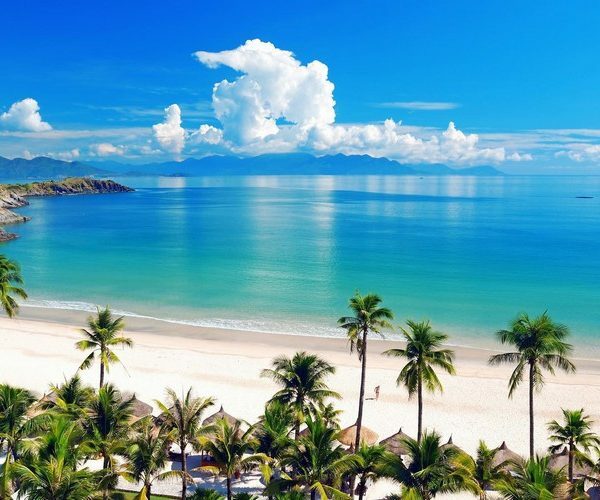 – Nga Nam – Phu Loc, Soc Trang province. From that on, the landmark Nga Nam was formed. 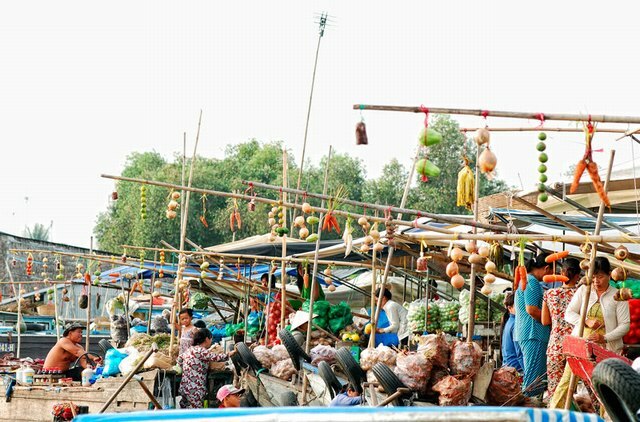 The reason for calling the floating market: because the trade exchanges of goods takes place in a very special place: On the river! All of business activities and life activities take place on the boat. 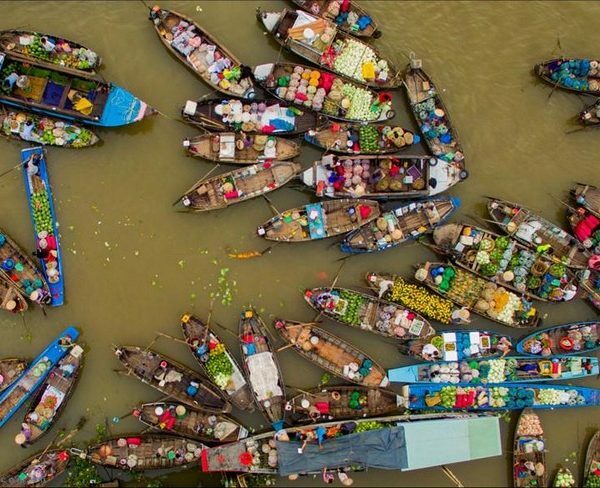 Both the seller and buyer use boats for moving, boats are used for transportation and do transactions on the river. Big boats, small boats, boats with five timber pieces, dinghy… are loaded up and loaded down of goods from 3 am until 8 am. 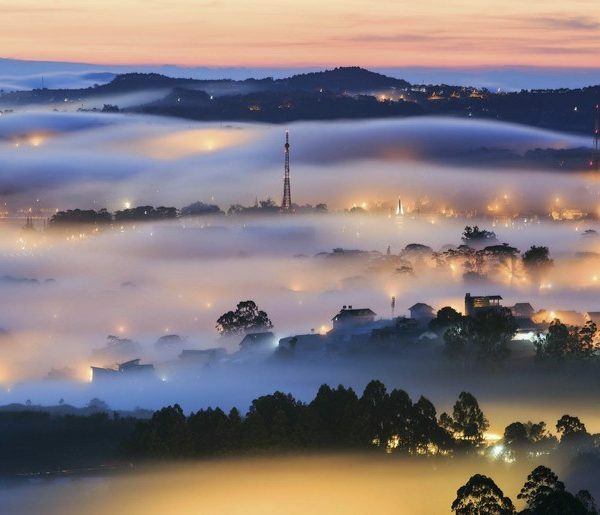 The Southwestern with the characteristic of monsoon tropical climate and the fertile land thanks to the annual fertile sediment accretion from the Mekong River create favorable conditions for the development of agricultural crops. In this market, fruits, vegetables and tubers are very diverse and rich in both volume and quality, so farmers often do not use all after harvesting, these items have a short shelf life, these reason lead to the need of exchanging and trading among small farmers. They often carry the harvested crops, gathered on a river section to exchange or purchase. Over time, this spontaneous habit became their 2nd profession in leisure time; someone has transformed into traders and continues to transmit to their children. 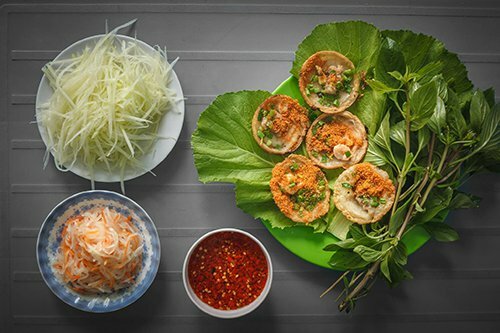 We can say Nga Nam floating market has most of the specialties of Mekong River Delta, from the famous rice of “rice bowl”, to vegetable, fresh fruit of orchards, shrimp, fish, crabs, frogs … the precious gifts that nature bestowed for downstream sector of Mekong river. 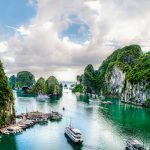 Hi Ho Lam, I’m in Soc Trang and want to go to Nga Nam. Can I get a motorbike and driver from here? 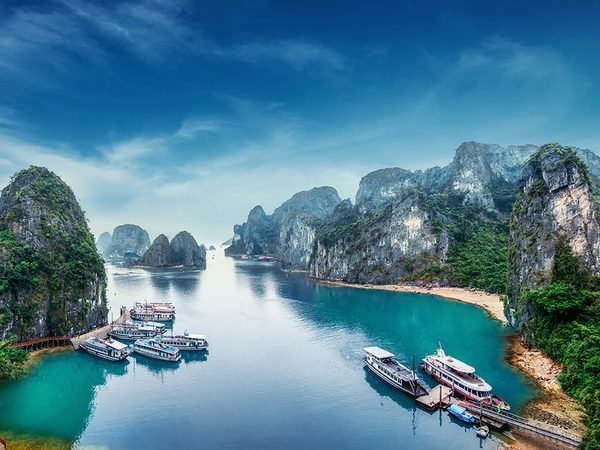 Also, is there any place to stay in Nga Nam? 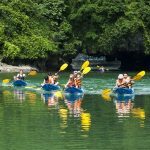 Is it possible to get a boat going down river to Bac Lieu?